Ease of promotion with the platform which has been built for Affiliates. Easy to promote range of Hosting Products and Reseller Program. Access promotional offers on Hosting and Domains to boost your Affiliate income. Log in to your personlized dashboard to keep track of payouts, sales, and leads. Get in touch with us for instant assistance to promote ResellerClub and Earn More. How Does ResellerClub Affiliate Program Work? What is the ResellerClub Affiliate program? 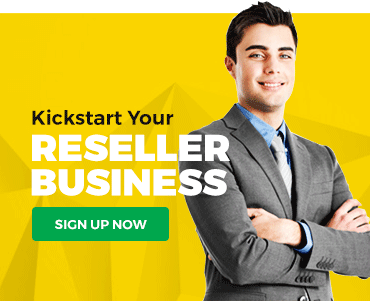 The ResellerClub Affiliate Program is the simplest way to earn incentives through referrals by promoting our reseller program and all hosting products. Once you join our Affiliate Program, you will get a unique affiliate ID along with promotional material such as collaterals, coupons etc. You can promote ResellerClub's hosting deals and products through blogs, articles, write-ups with the help of this unique affiliate ID and promo material. Every time you talk about us, we will track the traffic coming on to our website through the unique affiliate ID. On every successful referral, you will earn great incentives. Where can I promote ResellerClub? Can I promote ResellerClub offline? Ofcourse you can. You can tell your friends or colleagues about ResellerClub's products, hosting offers etc. and provide them with your unique ID link so that we know that the referral has come through your end. This is entirely upto you. Based on your efforts, you can easily make a minimum of $30 per referral or a maximum of $125 per referral. Simply put, you can either use your earnings for a brand new iPad, or take the entire family on an exotic vacation. We personally prefer the latter. Do I need to be technically qualified to Sign Up as a ResellerClub Affiliate? Absolutely not. If you understand, or have someone who understands HTML and where to place these codes within your Website, Blog or Email Marketing lists, then you have nothing to worry about.In case you do not understand HTML, or where to place an image banner or text link on your website, you can refer to the 'Affiliate Startup Guide' we provide on signing up. Even if you use Google as a reference, you're good to go. We make use of cookie tracking, which is by far the best & simplest form of tracking online traffic, to track and reward sales made on your affiliate URL. The tracking cookie is rewarded on a last click basis, and is valid for 60 days. How does the Last Click Attribution work? So let’s say Jack clicked on a ResellerClub banner on Affiliate A’s website, but then abandoned the payment process. Later, Jack clicks on another ResellerClub banner that he came across on Affiliate B’s website and activates his account within 60 days. In this case, Affiliate B is awarded the commission for referring Jack since this was the most recent cookie to get tracked by our system. Commissions will be paid on every successful referral. There will be a 30 day lock period to account for any suspensions, chargeback’s and refunds Sales are verified 30 days after the sale was recorded. Commissions are then sent within the 1st week of the following month. The minimum payout balance is $100. So let's say, if you give us one successful referral on 15th January, the sale will be verified on 15th February, and you will be awarded your commission in the first week of March. This way, once you get rolling, you can expect commissions to be paid out every month. All the promotional material we offer can be found in the Banners and Links tab within your affiliate panel. More details can be sourced from the “Affiliate Startup Guide'' which we provide on signing up. Does ResellerClub help me promote its services? Can I bid on ResellerClub in paid search/SEM? No, please do not bid on the term ResellerClub, Reseller Club or other brand and trademark terms in paid search/SEM. You are welcome to bid on non-trademark and non-brand terms in paid search/SEM. Examples of ResellerClub trademarked keywords include but not limited to "ResellerClub Domains" & "ResellerClub Hosting" etc.